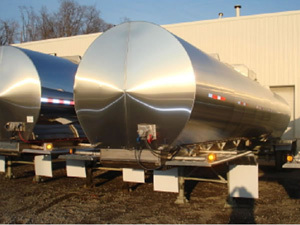 American Tank Leasing maintains a fleet of equipment that includes MC307/DOT407, MC312/DOT412, MC331, ASPHALT, PLANT STORAGE and DRY BULK/VACUUM tank trailers. In addition we also work with the leading lining manufactures� to provide our customers with the best possible solution to their most difficult product issues. ATL guarantees our equipment meets all MC and DOT regulations and will remain compliant during the term of your lease.